How do we find our way to a particular place? There’s usually lots of different routes. How do we find our way through a task? There’s usually lots of different ways to tackle a problem. An inquiry exercise in Class 3/4MH demonstrates this. To start the Inquiry Unit, Sharing the Planet, the Middle School students were asked to do a dot-to-dot connection. This great idea was taken from Teaching Reading Comprehension Strategies by Sheena Cameron. 1. Teacher preparation: Teacher writes words relating to the unit on the paper, spacing them apart and drawing a dot beside each word. 2. Distribute a copy of this paper to a student who works with a buddy. 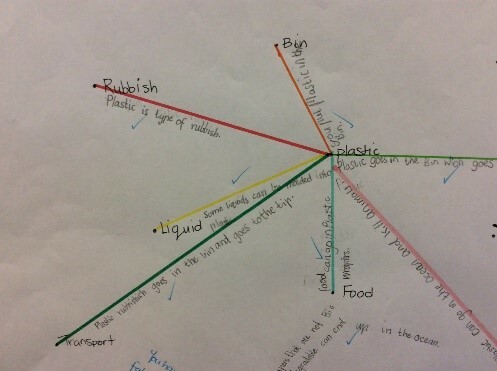 They then make connections between words by drawing a line and writing connections close to the line. 3. After they have completed their connections students explain their thinking. Each group have presented their work differently. 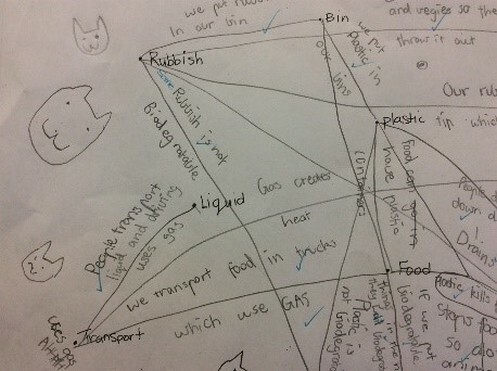 Some are more direct, others criss-cross over each other and some students find lots of connections between lots of words. During this activity the discussions were rich and the students were very engaged. 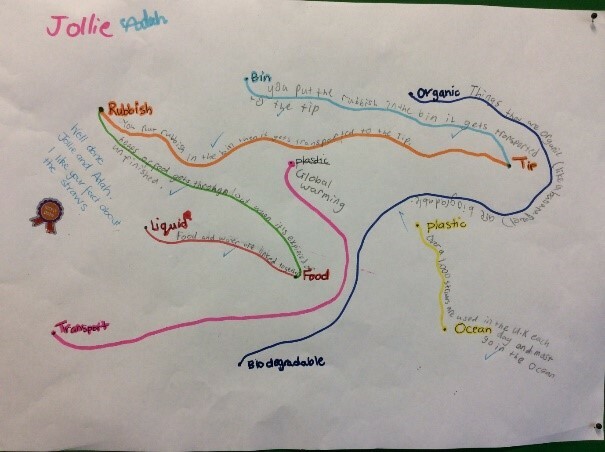 This entry was posted in Learning and tagged environment, geography, middle school, reading by Kate W. Bookmark the permalink.